The broad woodland that lay to the north and east of the Bree-hill. The village of Archet was built among the trees near its edge. 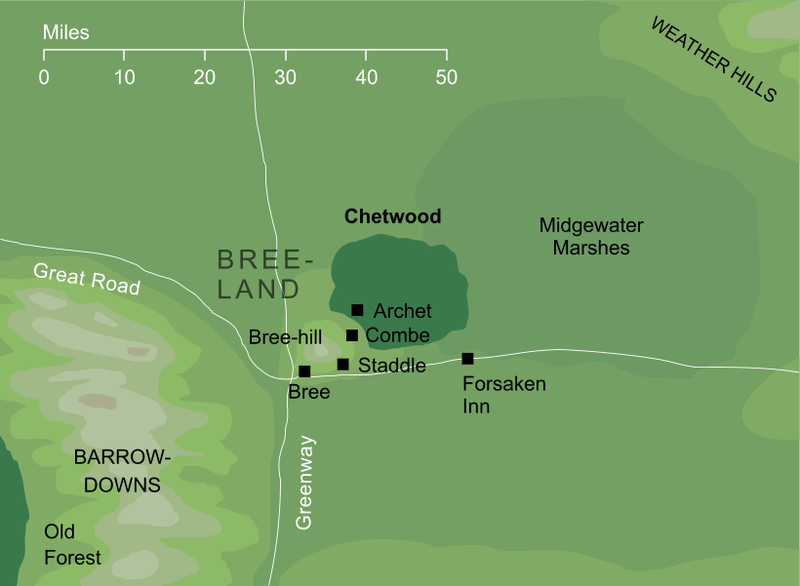 The geography of the Chetwood and its surroundings are relatively well established, but we don't have precise locations for the villages of the Bree-land other than Bree itself, nor for the Forsaken Inn. The locations for these shown on the map are based, so far as possible, on their textual descriptions. Original content © copyright Mark Fisher 2000, 2007, 2019. All rights reserved. For conditions of reuse, see the Site FAQ.